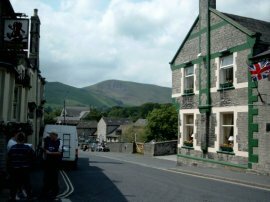 Castleton - a honeypot in the Peak District National Park. National Parks are protected areas of outstanding natural beauty. The first National Park was Yellowstone National Park, USA. Yellowstone was set up in 1872. 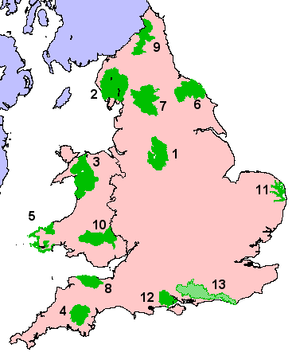 Most National Parks are located in upland areas of northern England and Wales. Honeypots are areas which attract many tourists. They usually contain attractive scenery or historic/culturally significant buildings. These areas are so called because tourists flock to these places like 'bees around honey'. Castleton is a village located in the Peak District National Park. Full details about it's attractions, problems and management solutions can be found on the Peak District Web Site or here on Internet Geography.